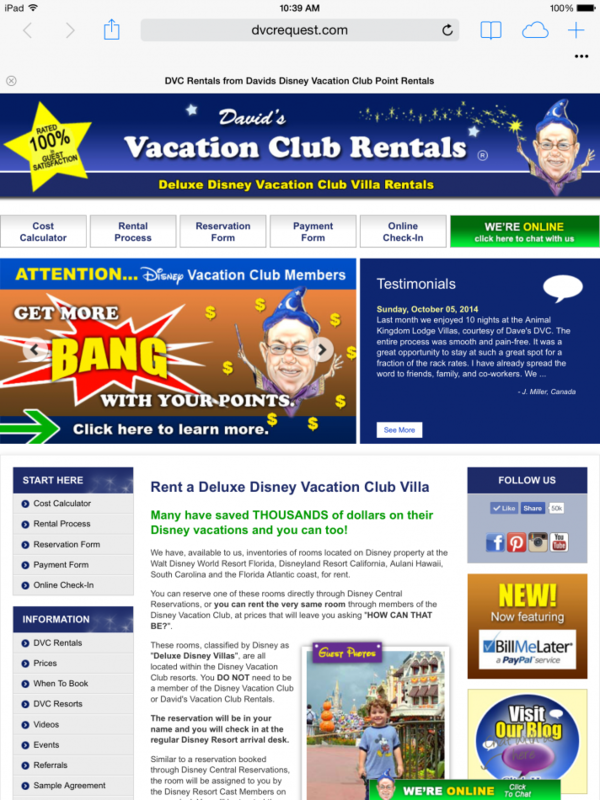 Our main website has all the nuts and bolts of renting Disney Vacation Club Villas, with a fresh new look. When you want an affordable way to enjoy a Deluxe Disney resort, head here for all the details. You’ll find information about each of the resorts including a list of amenities, photos, room layouts, maps, and even videos. Our Cost Calculator is a fantastic tool for comparing prices and occupancy of all the different DVC rooms. Our Rental Process page walks you through the easy steps. We have resources for everything from tickets to groceries. When you’re ready to plan your vacation, this should be your first stop. Here on our blog we post articles with useful and fun information about vacationing at Disney’s Resorts. We use this space to share tips for getting the most out of your Disney vacation, recaps of recent trips we’ve made, information about upcoming events, and in-depth information about Disney Vacation Club resorts. If this sounds like the kind of information you’d like to share with others, maybe you’d like to become one of our Guest Bloggers. This week we’ve added a Guest Blogger page to our website and are inviting you to share your Disney experiences and insights with the rest of our readers. I love magazines, I always have. They are a great resource when you want to learn about something, get inspired by a new idea, or just escape from whatever is going on in the moment. That’s how I think of Pinterest – like a gigantic online magazine! Talk about Disney information overload… phew. Lucky for you, you have me. I spend a lot of time culling through all that Disney info so that I can share the best stuff with our readers. 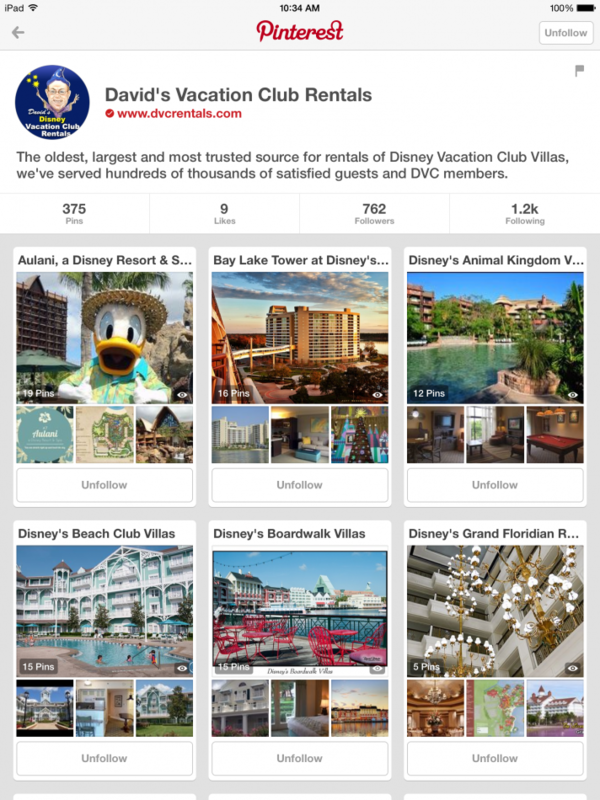 Our Pinterest page is a great resource for anything related to Disney vacations. 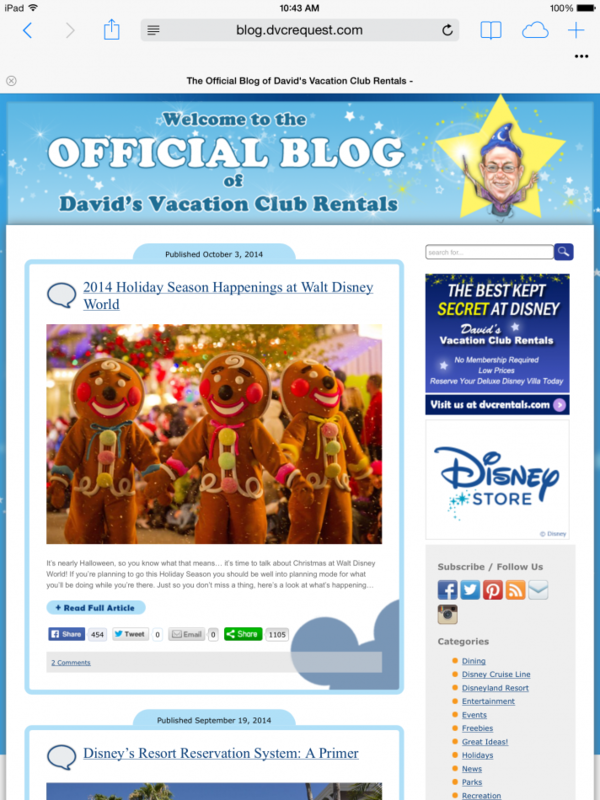 We’ve got boards for each of the DVC resorts, the parks, vacation planning tips and more. There are even some boards that are just for fun, Disney-style. If you come across a great pin that you think we’d like to share send it to us in a message on Pinterest. Our facebook page is where we share a little bit of everything. I like to think of it as a daily dose of Disney distraction! When we want to talk Disney, that’s where we go. And with more than 50,000 followers, there’s always someone to talk with! Here is a recap of just a few of our recent facebook posts, in case you missed them. Cost Comparison – I saw an ad recently for Aulani rooms and just for the heck of it, I thought I’d compare the prices to ours. I checked June 7-13, 2015 and here’s what I found. That’s a pretty big difference! I shared this on our facebook page as a reminder that it’s always worth checking to see if a deal really is a deal after all. 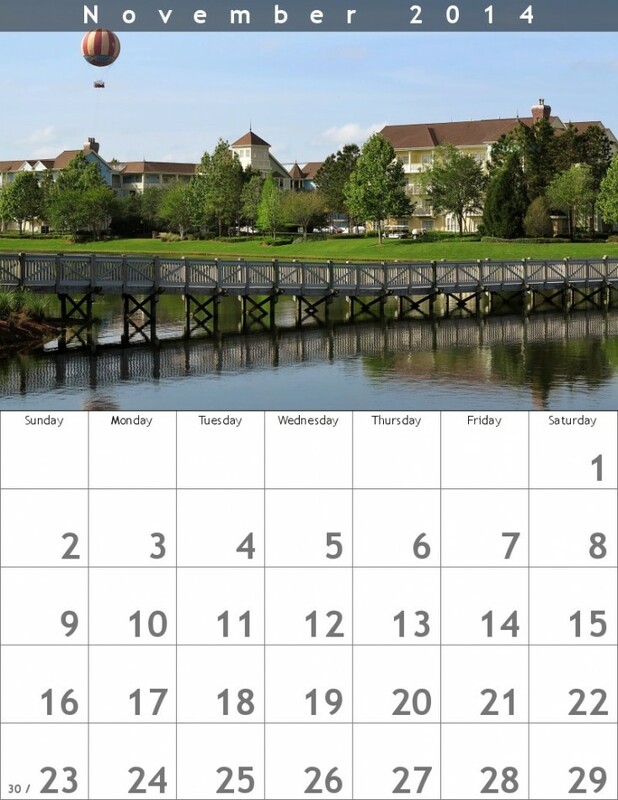 Monthly Calendar – Each month we share a free, printable calendar with a beautiful Walt Disney World photo. This is our November calendar. Memento Mori – Did you hear about the new Haunted Mansion merchandise store at Magic Kingdom? We posted a video tour of Memento Mori. Along with welcoming new additions to the Disney parks, fans have been mourning the loss of some old favorites. We recently said goodbye to Maelstrom and several street performers at Epcot including Off Kilter and The World Showcase Players. I love facebook because it’s where I get to talk with all of you. Come on over and join in the conversation. When my next trip to Disney World seems too far off and I want to feel like I’m there, I head to Instagram. Following Disney fans on Instagram is like getting a picture postcard from a friend who’s right there at Walt Disney World, right now. 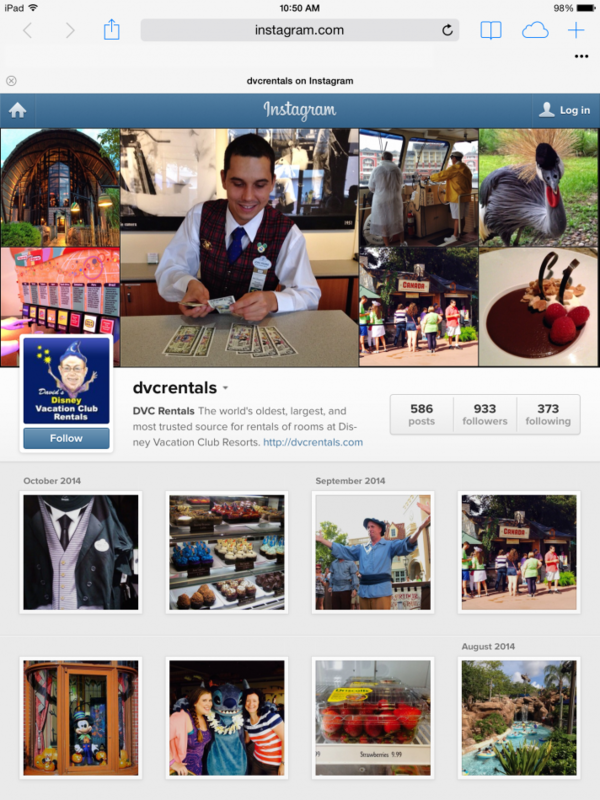 That’s how we use our Instagram account at DVC Rentals. When we’re at the Disney Parks and Resorts, we post photos of what we’re seeing and doing in real-time on Instagram. When you’re there without us, use the hashtag #DVCRentals on your Instagram photos to share a little bit of WDW with us! 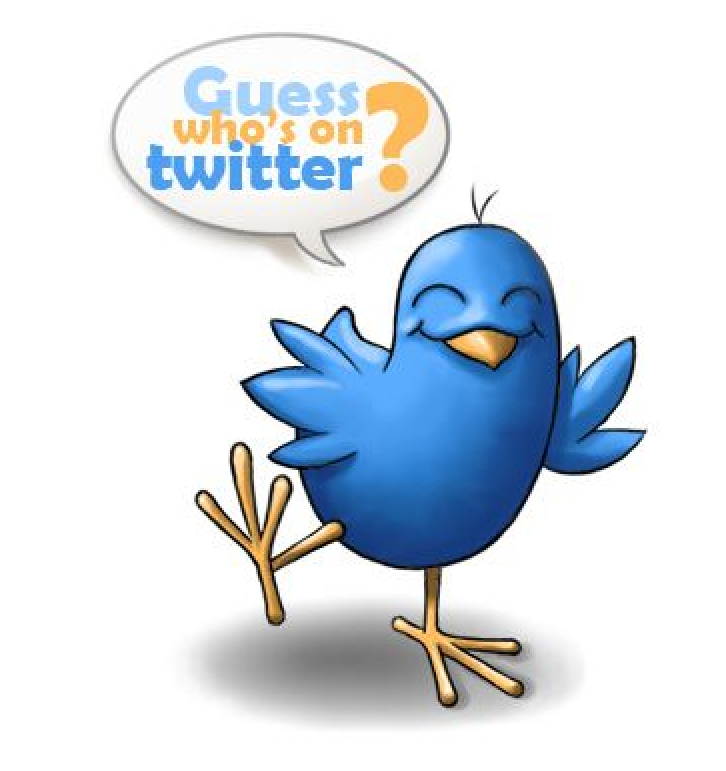 “What about Twitter?”, you may ask… Yes, we also have a Twitter account. For our friends who prefer a quick announcement of what’s happening, we’ve set up an automatic feed that goes to Twitter. Just click on the link in our tweets to get more information about what interests you.